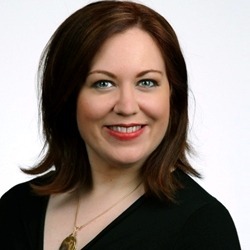 Best-selling author Jackie Huba has written three books on customer loyalty, including Citizen Marketers: When People Are the Message, co-authored with Ben McConnell, and her first book, Creating Customer Evangelists. She's been named one of the 10 most influential online marketers, and her business blog, Church of the Customer, is among the most popular blogs related to marketing. I invited Jackie to Marketing Smarts to discuss her most recent book, Monster Loyalty: How Lady Gaga Turns Followers Into Fanatics. Dance with the guy who brought you (2:56): "When [Lady Gaga] first started, she couldn't get any of her records played at all. She couldn't get booked for any gigs, and it was these gay clubs in New York City that started to book her and then the San Francisco Gay Pride Parade, so the gay community really started to adopt her and she never forgot that.... When she became later very famous and would do giant arena tours, she would still...stop into that gay club that she played three years earlier, because she wanted to show her loyalty to them.... It's all about understanding and nurturing your current customers.... Why are we so focused on new customers to the expense of current customers? You see [this] sometimes with cable companies where it's all about getting the new customers, lots of incentives, yet their customer service is horrendous.... Gaga understands this completely.... She really is focused on her rabid, die-hard, current customers because she knows that, through word-of-mouth, that this base is going to grow over time." Focus on your "One Percenters" (6:22): "During the rise of social media...we were looking at online communities and looking at the most engaged people, the people who were creating the most content, and it was completely surprising.... It was not 20%—you often think of the 80/20 rule. It was...around 1% every time, so we called it the "One Percent Rule," and we called those people who were most engaged the 'One Percenters.' It's a tiny percentage, but they're so powerful, because they're the most passionate. They're the die-hards.... They're the people who are going to give your product as a gift, extol your virtues to everyone who will listen. They have such power because they're a virtual sales force." If you build community, the One Percenters will come (7:58): "I think one of the most effective ways is to build community within the One Percenters. You can do this offline, you can do this online. One of the ways she does it is online. [Lady Gaga] wanted to build a private social network for her One Percenters...but she and her manager could not find a platform that they liked...so they built their own company...which then built their own platform for this community called LittleMonsters.com. It's where all the die-hards go. She could write a book on community management. She's in there all the time...and it keeps fueling the fire of these 'little monsters.'" Give your fans a name (10:03): "'Little Monsters' is what [Lady Gaga} calls her fans.... How this creates more loyalty is that when you name something, you give it an identity.... If you give them this identity, there's inclusiveness.... I'm either part of 'Little Monsters,' or I'm kind of an average fan, but I'm not really. There's this line you cross." Go big or go home (20:28): "There is so much noise. Obscurity is the enemy, and it's never been more of a challenge. With so much information—tweets, blogs—it's really hard to stand out.... You really have no choice. If you want to get attention and you want your One Percenters to talk, you have to do something different.... You need to think, 'Is what I'm doing word of mouth worthy? Would anyone talk about it?' If not, maybe think again." My conversation with Jackie included much more. I encourage you to listen to the entire show, which you may do above, or download the mp3 and listen at your convenience. Of course, you can also subscribe to the Marketing Smarts podcast in iTunes or via RSS and never miss an episode! Jackie Huba, best-selling author of Creating Customer Evangelists, Citizen Marketers, and her most recent book, Monster Loyalty.